st Highland Derby of the season ended in a stalemate at the Global Energy Stadium, with the game finishing 0-0 despite chances for both teams. The result means the Caley Jags have now gone 17 league matches unbeaten and now sit second in the Championship table. Less than a minute into the match, ICTFC almost had the lead through Liam Polworth after a swift counter attack but his shot was just wide of the post. Michael Gardyne drove one just wide of the post moments later in an open start to the game and ICTFC threated again as Fox tipped over a shot from Aaron Doran on the edge of the box after 10 minutes in a frantic start to the game. Liam Fontaine was presented with a big chance just before the 15th minute mark as Keith Watson’s drilled cross fell to him a few yards out but his effort was wide. ICTFC then broke and Aaron Doran’s low shot was smothered by Scott Fox but the rebound couldn’t quite fall to White as the ball went behind for a corner. Liam Polworth then tested Fox with a free-kick which the County keeper had to push over the crossbar. After 28 minutes, Doran found White in the box with a good cross, and the striker’s header was just inches wide of the post. The first chance of the second-half fell to County through Billy Mckay as he latched onto a quickly taken free-kick but his shot was well held by Mark Ridgers. Liam Polworth then saw Fox off his line and went for a chip from 30 yards but his effort was onto the roof of the net and behind for a goal-kick. Billy Mckay had a chance to put County ahead with a header at the back-post but it was straight at Mark Ridgers. There was an injury scare for ICTFC as Liam Polworth went down holding his shoulder, but he was able to continue. Brian Graham could’ve had County ahead with 15 minutes to go but he couldn’t get proper contact on a great cross from Josh Mullin. Sean Welsh was presented with a big opportunity in the 83rd minute as the ball broke to him in the box but his effort was well over the bar. County had a late chance through Michael Gardyne as he unleashed a shot from just outside the box but it was over the bar. 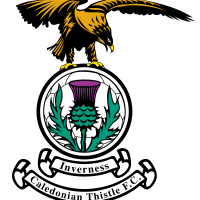 Caley Thistle now will face Queen of the South next Saturday as they look to keep their unbeaten start to the season going. Unused Subs: Munro (GK), Stelios, Keillor-Dunn, Stewart. Unused Subs: Hoban (GK), McCart, Calder, Trafford, MacGregor, Brown.